From birthday parties to corporate team building, we will make you day soar. Click here to find out how to bring the WoW to you birthday party by hosting at SZ! Click here to get information on taking your field trip, group outing, or corporate team building to the next level at SZ. Sky Zone Glen Mills is proud to support many charitable organizations and causes within the community. Whether you want prizes to raffle or auction or host a fundraiser to earn money for a cause SZ has you covered! If you want to host your FUNdraiser at SZ please fill out our online application by clicking here! If you want to request a donation please fill out our online application by clicking here! We don't have an age limit, but we do require all jumpers to jump completely independently/unassisted and be able to follow simple instructions. We recommend anyone under the age of 5 to come jump with us during Toddler Time or during our slower time such as weekdays or weekend mornings. What is the age requirement for SkyFit? Jumpers must be 13 or older to participate in a SkyFit class. We do accept walk-ins when we have available jump tickets However, we are a capacity based facility, so we recommend purchasing your tickets online in advance to guarantee your jump time, especially Friday through Sunday or on school holidays. Is there a way to reserve a ticket and pay when I arrive? No. The only way to reserve a ticket is by purchasing it. We cannot hold tickets without payment. 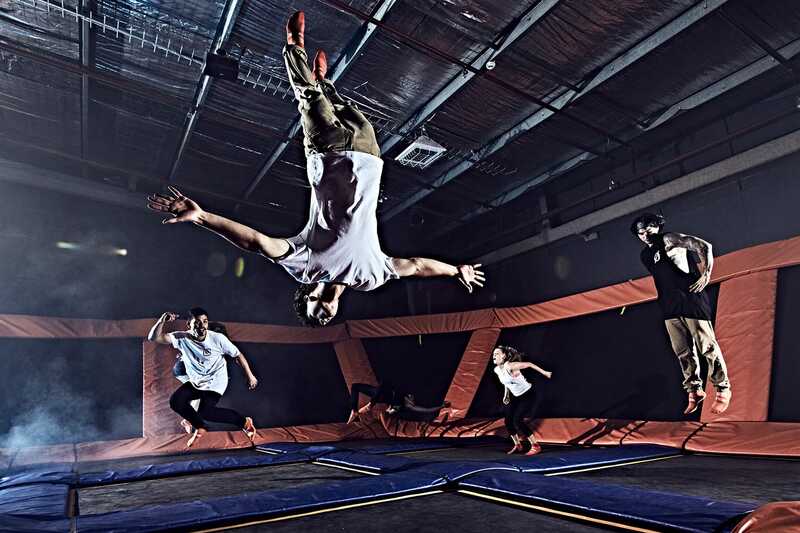 Can my children play dodgeball/ go into Foam Zone/ play Sky Slam with an Freestyle Jump ticket? A Freestyle Jump ticket gives you access to all areas. Dodgeball is the only activity that is not guaranteed. A dodgeball court must be available and there needs to be enough players in the same age group to set up a dodgeball game. If I am just coming to watch my child jump do I need to purchase a ticket or pay admission? Only those jumping are required to pay for tickets. If you are not jumping, then you do not need to purchase a ticket. How often are jumpers injured at Sky Zone? Just like any physical activity, there is potential for injury. Unfortunately, we cannot eliminate this, but we can minimize it with our rules that balance safety and fun. Due to this commitment, less than 1% of participants have experienced an injury. The majority of injuries are minor (twist, sprain, bloody nose) in nature and most occur when the rules are broken or the participants attempt moves outside of their physical ability. What safety precautions does Sky Zone have in place? We pride ourselves in going above and beyond to help ensure a safe experience at SZ. Our courts are always supervised by trained court monitors, stationed to implement key rules whenever necessary. We have court rules that are reviewed with all jumpers every time they come to jump with us. We also enforce age and size separation policy so that our younger jumpers are not jumping next to our larger and older jumpers. We do not permit any outside food or beverage, but we do have the Fuel Zone concession stand where food and drinks are available. How often do I need to fill out a waiver? Waivers stay on file for 365 days. However, the waiver must be filled out for our specific location. Do I have to fill out a waiver before I jump? Yes, every jumper needs to fill out a liability waiver from the Sky Zone location where they are jumping before they are allowed to purchase tickets and jump. If you are under the age of 18 a parent or legal guardian must fill out the waiver for you. They can fill it out in advance online or in the park before they purchase jump time. Do I have to be present when my child is jumping? What if someone else is bringing my child to SZ? As long as the child has a valid waiver on file, the parent does not have to be present when the child visits SZ. Can I print the waiver? Or can I get a printable version? We only have an electronic waiver. You can either fill our the waiver online or you can use the waiver kiosks available in the park. Versions that are printed at another SZ are NOT VALID for our location. If it says you are sold out online, can I walk in and buy tickets? If we are sold out online, we are sold out in the park. We do not hold tickets for our walk-in guests. My child's friends purchased tickets separately and now the website says you are sold out. Can my child still jump with his friends? Since we are a capacity based facility we do sell out. Unfortunately, we would not be able to sell the child a ticket if we are at capacity. Occasionally, tickets become available due to parties changing their head count, so you may continue to check the website to see if we have any openings. Do people ever call to cancel? Because our tickets are non-refundable and non-transferable, cancellations are rare. However, some parties do change their headcount or reschedule, which can make more tickets available for purchase, but this does not happen often. My computer is not working, can I purchase tickets over the phone? We cannot complete the ticket purchase with you over the phone. However, you may purchase your tickets through a smart phone or by coming in to our park and reserving for a future date/time. I purchased my tickets online but my printer is not working. What do I do? Just write down your order number or show the cashier your email confirmation when you are checking in and they can look it up for you. Can I reserve my jump time with a Groupon or Local Flavor certificate? Groupon and Local Flavor purchases are walk-in only. The only way to reserve your jump time in advance is to go into the with your Groupon or Local Flavor certificate. You can present your certificate and schedule a jump time. Can I use 1 hour of my Groupon or Local Flavor certificate one day and come back on another day to use the other hour? Groupons and Local Flavors can not be split. It whole value needs to be used same day. Does Sky Zone have a dress code? We do require everyone to wear Sky Socks and be dressed appropriately in order to jump with us. We do not have a specific dress code, but we do recommend dressing comfortably. Do I need to purchase Sky Socks in order to jump at SZ? Yes, we require all jumpers to wear Sky Socks. Sky Socks are $2 plus tax and are yours to keep and reuse, provided they are clean and the grips are intact. Do you have lockers available to store my things in while I jump? We do have lockers available to rent. The lockers must be paid for using quarters. Small lockers are 50 cents, medium lockers are 75 cents, and large lockers are $1. The lockers are not timed, but you will be charged for each time you open the locker.